The behind-closed-doors event in Sussex saw all four famous generations of the sports car brought together with the new fifth-generation car for the first time anywhere in the world. Toyota invited a group of Supra super-fans to an evening event with Tetsuya Tada, in which the chief engineer of the new A90 Supra gave owners of all four previous generations an exclusive introduction to the camouflaged prototype. The top secret, invite-only event occurred during the long weekend of the 2018 Goodwood Festival of Speed, where the keenly anticipated new fifth-generation Supra made its world debut. Earlier in the day, Tada-san had given thousands of enthusiasts an early taste of the vehicle’s dynamic performance by driving up the famous festival hill course, after which the prototype was whisked away to another location in West Sussex for its exclusive static showing. 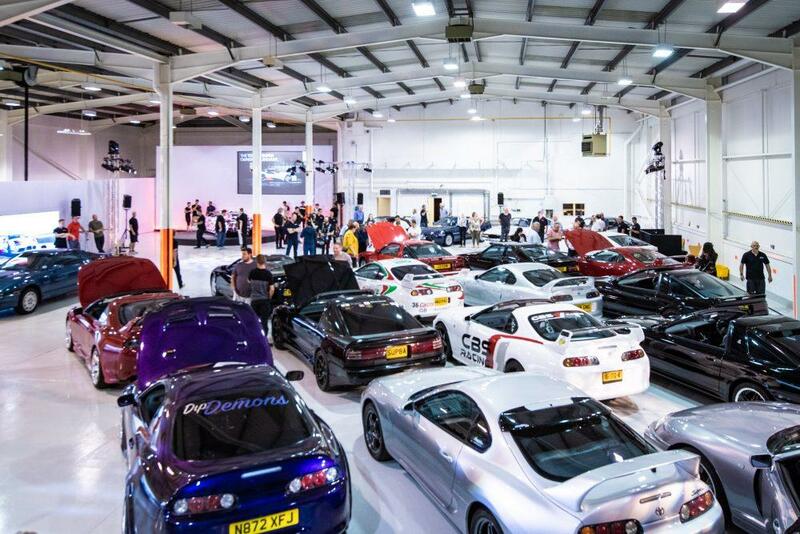 A total of 50 immaculately presented Supra models from all four generations had been invited to attend in anticipation of the new A90 Supra’s arrival. The majority of the 84 owners and guests arrived in fourth-generation models, from highly sought-after UK-specification models with manual gearboxes, to examples that illustrated the enduring popularity and immense tuning potential of the iconic 2JZ straight-six engine. Also in attendance were eight third-generation models in both original and facelifted guise, four angular second-generation models, and a single first-generation model – one of only two examples of the Celica Supra known to exist in the UK. Tada-san drove the new A90 Supra into the building to rapturous applause from the enthusiasts. He positioned it on a rotating stand and then proudly introduced his “new baby” to the crowd as the culmination of six years of development. It was a moment that marked the first time that all five generations of Toyota Supra had ever appeared together in public. During the course of the evening, Tada-san was eager to mingle with the guests and chat openly about the A90 project. As an enthusiast himself, he was equally eager to hear from existing owners about what Supra means to them and gain a greater understanding of their expectations for this next chapter in the model’s history. Toyota expects its new Supra to reach the market during the first half of 2019.